My theme - Origins of Science Fiction Terms and More! The term, its meaning (definitions from Technovelgy), and first book appearance / a movie that features this term / a blogger buddy who reminds me of that term. 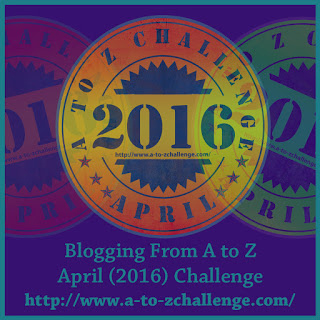 I’m also the guinea pig for an experiment – A to Z Lite. I get between 100-170 comments per post in April during the Challenge. And it has just become too much to return that many every day, six days a week. The other A to Z Admins agreed to an A to Z Lite trial run. 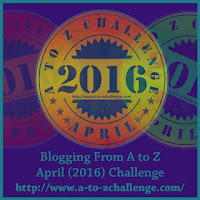 A to Z Lite means I will just be posting a handful of times this month and multiple letters at a time. I also won’t be visiting every single person every single day, although I will return all comments. Hope everyone understands. 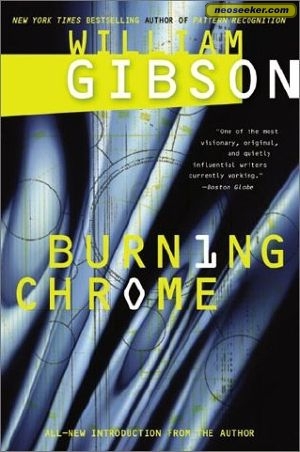 Cyberspace originally appeared in William Gibson’s short story, Burning Chrome, in 1982. Yes, it’s a fairly recent term, and it caught on fast. You can’t discuss cyberspace without including The Matrix. Now that’s cyberspace on a massive scale! Released in 1999, it introduced the world to amazing bullet time effects and starred Keanu Reeves, Laurence Fishburn, Carrie-Anne Moss, and Hugo Weaving. First used by Thomas More for his work of political philosophy in 1516 and again in a speech by John Stuart Mill in 1868. A somber look at dystopia is shown in the movie Equilibrium. Staring Christian Bale, Sean Bean, William Fichtner, and Taye Diggs, it portrays a Fascist future where feelings are illegal. Murees Dupé sees our world a little bit differently, but it’s a good thing. We might do well to share her vision! I really like the letter C since my last name begins with a C.
Plus all three of my Cassa series books begin with a C – CassaStar, CassaFire, and CassaStorm. My favorite though would be Christ, my Lord and Savior. Today I’m going with a video with cool animation from the latest Megadeth album. And the song fits so well – Dystopia! Don’t forget Wednesday is post day for the Insecure Writer’s Support Group. We also have a newsletter now and you can sign up HERE. Volume 1.4 of Six Strings is now available! Pick up your copy at the Six Strings site. And special thanks to Michelle Wallace - she featured one of my books for her C post! Did you know where cyberspace and dystopia came from? Ever seen Equilibrium? Following Spacerguy and Murees? What music moves you today? And what is your favorite thing that begins with a C? Alex-- I am always amazed at how you visit and comment on so many blogs. If anyone deserves to slow down a bit it's you. I think everyone will totally understand. You're awesome. I'm on a mini-unannounced hiatus. I am taking master's level classes and I'm in the midst of finals right now. So real life has taken over for a while. This time of year is always so busy for me. I'm really looking forward to the summer. Dystopia is a sci-fi related concept? I would never have thought. I know Murees. She's from my neck of the woods! I love Equilibrium, especially the gun-ka! Great post Alex! You are rocking the A to Z Lite (smile) Blessings and enjoy your day! Heard a lot of cyberspace and matrrix but not dystopia. But it is good to know of their origins just the same. Took a peek at Spacerguy. Real hard stuff on Spock and the rest apparently! I love to read Dystopian novels. My favourite thing beginning with C must be chocolate or even better chocolate cake AND of course coffee. Trust me to be thinking about my stomach first thing on a Monday morning when I am supposedly on a healthy eating program :) Have a great day and thanks for the super post. Matrix is a favourite with the family, they've watched it several times I think, I've watched it once. As you know, I remain clueless about Cyberspace and also Dystopia :) though I have read some Dystopian novels, the Handmaid's Tale among them, pretty chilling. Too many C-words to pick a favourite, right now top-of-mind are conversation, which is what commenting is, cover (of a book), coffee, cake, contrasts, cerulean as well. I am so impressed with the work you put into all of your posts, and your supportive (and wideranging) presence in the blogosphere. Alex, your post are always so informative and entertaining - even when you're doing a lite version. I like your favorite Cs. The word cyberspace sounds so intriguing. It seems like a very real thing, and not just a bunch of wires and transmissions. My favorite c word is probably cake. I'd no idea that the origins of dystopia reached back so far. Great topic for A-Z! I'll have to check Equilibrium out. Never heard of it! Cyberspace is where currently most of the world is currently hanging out and our world is getting dystopic! Loved learning more about these terms! Matrix is still mind-boggling for me btw! I never knew dystopia was a science fiction term. I thought it was a new YA genre. Little do I know. The Matrix - Now, that series was really about thinking outside the box or would that be inside the corridors of the mind which to me is limitless. Dystopia - seems to be the theme to many movies and books. I am not surprised by your favorite word associated with "C" - as he lives within your heart. Long before dystopian fiction became a hot trend, I came across "dystopia" in the dictionary. It was the last word for D, and the definition simply said, "A place of utter wretchedness." The phrase stuck with me ever since. It's funny I thought you might be doing your books, as you should... I am thrilled for the shout out for SIX STRINGS... I will need to give big virtual hug! Kidding! Have a great day, and all I can say is... eenie meenie miney moe! I enjoyed learning the earliest use of the word dystopia and hearing the melodic metal and guitar virtuosity on Megadeth's "Dystopia" song. C you next time, good buddy! I definitely learned something today about dystopia. Really interesting. I've always wondered about the term, it's origins, and how different people interpret it through expression. I'm still curious, so I'll probably (finally) research it a bit. Great post and theme! I can't believe you respond to so many comments. I often get fewer than a handful and don't have the time to respond! Whatever you're doing you deserve a break and I don't think anyone would begrudge you for that. D for Dystopia is killing me this month as I try to finish my dystopian series for Camp NaNo! MsMariah, good luck with finals! Michelle, thanks for featuring my book! Nicola, what about chocolate coffee cake? Sheena-kay, I had to go deep with the truth. Deb, how can anyone not know how to spell church??? Sandra, that's a harsh definition. Shady, Megadeth returned strong with that album. I had no idea dystopia has been around so long. As for cyberspace - I have seen the Matrix. And my favorite thing that begins with C would have to be chocolate (sorry, I am not as deep as you are today). Yes, I knew where dystopia came from but I still don't really know what it means. Cyberspace just seemed such a natural word I never really thought about its origin. Great that Michelle is featuring one of your books. I had no idea dystopia was used so long ago! Loved the Matrix. And wow, the guitar in Megadeth's Dystopia was rockin'! I'm going to have to show that song to my son. He'll love it. I totally understand your posting schedule. It's hard to keep up with all of that. :) The music moving me today- a Bethel Music song entitled No Longer Slaves. So, many great ideas here and now I am craving popcorn, a Matrix marathon and some Red Hot Tamales licorice. When you speak Cyberspace, I have to think of the Matrix. Kind of what sci-fi, fantasy and bad dreams are made of. :) I used to be a Techie at the school district. I often heard our users say they'd lost this file or that email in Cyberspace. And The Matrix is a perfect example of Cyberspace. I know both of those wonderful bloggers! :) C is one of my favorite letters. Cookies, chocolate, cake... mmmmm. I figured that Cyberspace was relatively new and thought the same for Dystopia, but, I was wrong, way wrong. Wow! Equilibrium was a good one. I figured Cyberspace was new. Dystopian probably even goes back further, whether it was used or not, as humans always tend to go toward those stories. Jo, cyberspace is just so common now. Teresa, I wonder if we'll find all those again one day? Cake!! That's a good C thing. Sir Thomas More was a brilliant man - he did lean toward discussing the worst of man and life. William Gibson is awesome. Very cool that he coined the term cyberspace. I love the dystopian genre and enjoyed Equilibrium. Lately the music I'm most into is Modest Mouse, XTC and Pink Floyd. My favorite things that start with a C are my son, Caleb, and our cat! I'm enjoying the challenge lite. I immediately thought of Orwell's 1984 as a classic dystopian novel. I knew it was an old term. I didn't know cyberspace first appeared in Burning Chrome. Hubby and I just got the book but haven't read it yet. As for a favorite C word... how about Caribbean? I didn't know that Dystopia was a term that dates back that far! Great answer to the Q of the Month. This A-Z-ing is going pretty well so far. I love the A to Z Lite idea...I've seen someone else doing that, as well, although I can't remember who it was. I'm finally accepting the fact that replying to comments is probably going to have to go this month. I'd rather put that time into visiting as many blogs as I can. I like the A to Z lite idea! Hopefully it makes things less crazy for you. It's interesting how old a term dystopia is considering how popular dystopian stories are today! Favorite thing that begins with c -- chocolate (of course!). And today the music that moves me is almost anything from Adele's last two albums. I like the LIGHT approach. A to Z can totally wear you out. I'm popping back into cyber space for a few minutes today, and it feels like it's been forever. Excellent post, Ninja Captain! Wait! You forgot C for Captain! I do love the Matrix. Not the others so much, but the original. Why didn't I take the blue pill???? I hope A to Z Lite is working out well for you, I always appreciate your comments on my page! Christ is an excellent C word, without Him and the cross, nothing else would matter. I like the Lite Version. Glad you're testing it out. Thanks for the info on the word, dystrophia. I had no idea it was coined by Sir Thomas More. Love Michelle's theme this year. Very nice way to support authors and be interesting at the same time. Yes, I follow Spacerguy. He's got a great Star Trek blog. Thank you for stopping by all of my blogs! You're a champ! When we all live in cyberspace, will that be dystopia? I have often thought that Hollywood should have made more movie adaptations of Gibson's brilliant novels. What a visionary he is/was. I loooove Dystopia!! It's awesome knowing about where that came from!! And this has been confusing me for a long time, what are the Kargrandes!? I want to know, but I have no idea where to find out!!! Thanks for featuring two more great terms and bloggers! Spacerguy is always fun to visit. Well there's utopia, and then there's dystopia. It isn't too surprising these days that dystopia is being used in daily parlance more commonly. However, we can always hope! I had dystopia once. But, I took some Pepto and was right as rain. Cyberspace being a recent term makes sense, but it is still more recent than I thought it would be... interesting! The Matrix is a great movie. I think the first one was the best. Bish, now you know what to expect when you read it. Jeffrey, that's a good point about Tron. I thought dystopia was a new word. I could use some Beach Boys music today because it's so cold here and I need some warm thoughts. I had no idea the history of either word! I have seen the movie Equilibrium. It's one of my favorites. I totally forgot about the IWSG what with the A to Z. Please don't boot me off the list. I'll be back on top of it next month! It seems like a lot of people these days have forgotten a dystopia is supposed to be a utopia gone creepily wrong. Since I have such a sweet tooth, some of my favorite C words are cake and cookies. how do you keep up all the energy required in A to Z month? I am in awe! Great post. Loved the Matrix when it came out. Great post Alex, must be short got much catching up to do. Man, I need to check in early to comment first! 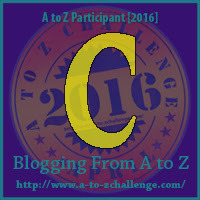 C is a good letter for all of us. Christ is our truth and light. So much to explore. I'm going to read all week and pick one. Take care kid. How do you visit and comment on so many blogs. You must multiple you's lurking in cyberspace!! I am honored to be in this issue of SIX STRINGS. Pace yourself, my friend! cyberspace is a word with so much resonance. Wow! I think your A to Z Lite is a good idea. Had I know I might have jumped in...well, probably not, but it sure does make it easier all around. I'll try to be back on Wednesday for the IWSG. See ya then. On this post my eyes paused on Equilibrium. I want to look this one up on Netflix, or Amazon (my daughter and I only have streaming; I won't cave to the expensive of TV). I have greatly enjoyed William Fichtner on Crossing Lines, sad when his character got killed. And so many others also. Sigh. Because of these "deaths" I feel no desire to watch it anymore. But I want to see more of Fichtner! You've just spurred me on with this blurb. I'm amazed at how many blogs you visit and how you never seem to forget me in the mix. I am really enjoying your ato z topic. I love sci-fi. Thanks for your enthusiasm with blogging and all you contribute to the blogging community. The movie Equilibrium sounds good - I'll have to look that one up. I have two favorite C things - cats and cookies. They go well together. Thanks for having taken the time to pop by my blog, especially knowing how many comments you get. Commenting must be practically a full-time job for you. Well I have a C name too, but it's not well known since I use an avatar. I also like coffee which begins with C and one of my daughters is a C name: Christine. And dystopia - it appeals to readers as they like to imagine how they would fare in such a world gone wrong (by our modern standards. . .) I like the Origins of science fiction terms you are presenting! I think I knew about cyberspace, but not dystopia. I have no idea how you do all you do, Alex, but I know I appreciate it! 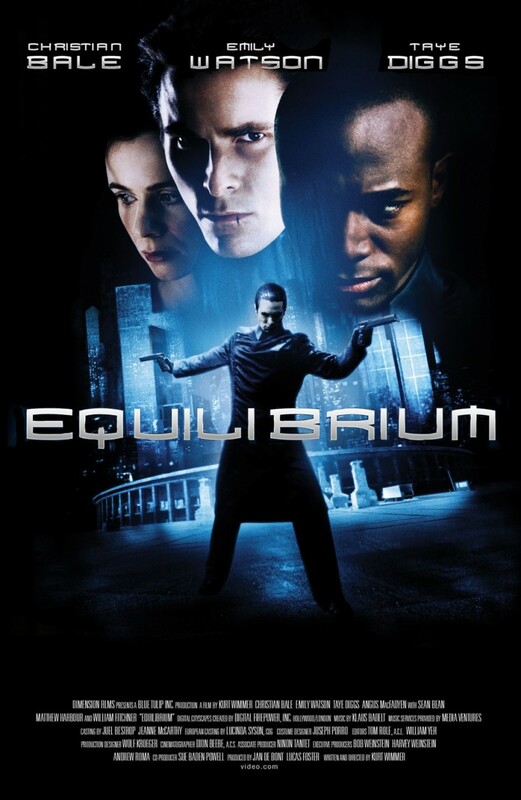 Equilibrium sounds like a movie I might like to see. My favorite thing that begins with a "C?" Our son CJ, whose name is actually Colin. I love this! SciFi is not my genre, and I'm SO ignorant of the terms. What a great idea for the A to Z.
SciFi is relatively new to me. I don't write it, have seen a few movies, and I'm glad you're making the terms more meaningful to me. Now, I'll have an idea what others are talking about. Thanks for stopping by my blog. I like your Lite idea!! Dystopia makes for great novels and movies - so many excellent examples abound! Roland, you are? That's awesome!!! Ann, go find a movie of his where he doesn't die, like Contact. DG, glad you're enjoying it! Beverly, glad to help, and Amen! The Megadeath Dystopia video is cool. A favorite C? Well, my name starts with C... but um, cats, cars, cyberpunk. I use the term Cyberspace a lot but probably don't use it correctly, as in its intended definition. Never heard of Dystopia. That Megadeth video is some bloody animation! Good song. Thanks for the introduction. Dystopia is an older term than I would have thought. Wow to IWSG on Wednesday--they always sneak up on me. I'm really enjoying your theme, Alex! The C word coming to my mind is chocolate! My mind is drawing a blank after Cassa and Christ. I'm going to have to track down some of these books and movies. Sean Bean and Hugo Weaving are two of my favorite actors. 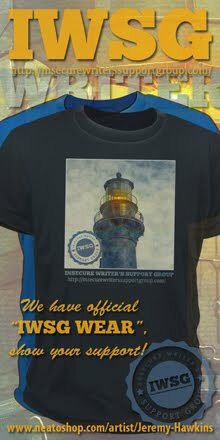 IWSG is Wednesday???!!! I can't believe it, but I'm flying on yet another IWSG day! I'll be burning the midnight oil tonight! LOL Stay rested and strong! I suppose I do live live in space. We all live in outer planet. It takes a big leap into the unown, I'll be out there with my tricorder on my starship scaning unkowns. Who whos what we've find out there is the galax of deep space.You just never now! I loved all three of the Matrix movies. Dystopia is becoming an overplayed theme these days. I love the A-Z Lite idea! The challenge is a bunch of fun, but boy does it take time away from those little things like writing and revising. I enjoyed the post and your theme. Never saw Equilibrium. Yes, following Murees! As for music, still love my classical and Jazz... I also totally enjoy the soundtracks from all the HP movies and Christmas carols. CHRISTMAS is my favorite C word. The origins of cyberspace and dystopia were new to me, but I have seen all the Matrix movies and Equilibrium (it was pretty good). I decided that today my favorite 'c' is chocolate. I'm older than the word cyberspace. o.o!! I liked Equilibrium, as well. It took a serious look at a dystopian society. And yay for Murees Dupe! My favorite C word is cauliflour. Just kidding, of course. Great words for the challenge. The Matrix and Equilibrium were just weird enough for me to watch :-) Favourite "C" - coffee. Good luck with the rest of the challenge. Word nerd that I am, I love your explanations of the origins of these sci fi words. Guess I never really understood the word cyberspace--just kind of took it for granted. But dystopia I know is an old concept, but isn't it wild how so many dystopian movies and shows (Walking Dead, etc.) are so popular now? A dark reflection of our fears, perhaps. Michele, you should pick up the album. Fundy, you are always on the go! Sorchia, it takes time away from everything. Patricia, that's either a good or a bad thing. Damy, so far so good. receiving that many comments is so awesome. As I would be honored to just get 20 comments. Right now my favorite thing that begins with C is coffee. It;s 5:24 am here. The Matrix is one of my favorite movies! Cyberspace indeed! I've never seen Equilibrium. I'll have to check it out. I love Thomas Moore! Interesting that you're covering two letters at a time. That might be a good idea for next year. I toddled over to Michelle's. Great review. I knew with dystopia came from, but not cyberspace. My favorite c thing would probably be a cat. Hey, I mentioned the Matrix as well this week. What a great movie. (Not to mention my short story in Parallels is strongly influenced by it as well.) It's interesting to know what started the dystopia trend. Thanks for the info. I read Gibson's cyberpunk novel Neuromancer out of a sense of obligation to knowing the SFF classics, but A LOT of it went over my head. I'll never be a techie. Wow, Alex. Thank you! I'm honored to have been mentioned. You are very kind. I actually enjoyed all The Matrix movies and Equilibrium. My favorite thing that starts with C would be Coca-Cola. Very unhealthy:) Thanks for explaining the above terms. I always wondered. All the best with the rest of your A-Z posts. Stephen, I need an energy drink at that hour. Tamara, your story was great. Favorite C has to be the same as yours. No, not your last name. I'm glad you are doubling up on letters, but I'm not sure it has slowed you down any! What does it say about society that dystopia is currently so popular? I've never seen Equilibrium but must add it to the growing list. OMG!?! The Ninja Captain/Clonist has limits. I actually thought you migrated to cyberspace, kinda like Stephen King's Lawn Mower Man. Don't worry about stopping by my blog, I'm still on break; be back for IWSG in May. I suppose you'll be taking a few months off yourself if you survive April, lol. Have a great month Alex. IWSG Lite - not THAT lite since you're still putting lots of time into each letter. But of course you can survive the overlap. You're the Ninja Master, remember? The A- Z lite is a good idea. I too take awhile to return all comments. But I do. You've probably typed the equivalent of a manuscript with the number of blog comments you do. Grin. I am the guy who wants to explore the depts of outerspace. Trouble is neil armstrong beat me to the name spaceguy, and lets face it. He did go up into outspace! Instead I have to satisfy myself with the name spacerguy. Suprise!!! Thats spaceguy with an R in the middle! You totally have to do what works for YOU. And that's just the way it should be. For me, I don't read blogs during the work week. That might change as my hours change but for now, it's reading blogs on the weekend because that's what works for me. Big congrats for finding a way that works for YOU. Congratulations to another great post. It is incredible how fast time pass. I read Neuromancer by William Gibson more than 30 years ago. But I must say reading is something which let you forget your age. I fancy post-apocalyptic novels instead of dystopian ones. I don't know what to say :)..many interesting new info indeed..thanks for that Alex..
Too much music to mention. I love a good boogie. The Matrix was outstanding, blew everyone out of the water. I wonder how many have tried to copy it? The dystopia origins was interesting. Yay, Megadeth! Sorry, I have nothing wittier to say. It's fun following Dave Mustaine on Twitter. I enjoyed Both movies, my favorite thing that starts with C....If I say Cat would you believe me?